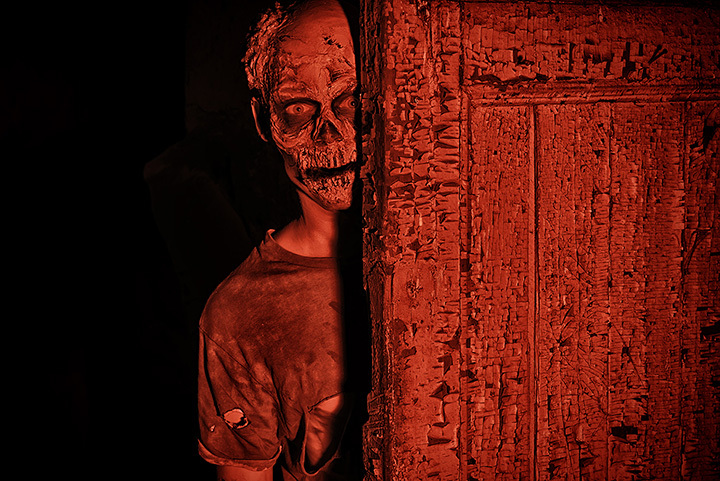 Hillside Horror is an intense haunted attraction and is not recommended for patrons with heart conditions, anxiety disorders, anyone one sensitive to loud noises, anyone prone to seizures, asthma conditions, or for women who are pregnant. For your safety, NO running as our trail is dark and has uneven terrain. Over the years there have been many folks who have come to the site of this hillside farm after dark in search of a thrill, especially around the Halloween season. Many of these folks return with horrifying stories of strange sights and occurrences and some people have even gone missing in the area, never to return! This year, take a ride on our hay wagon deep into the darkness of the NC foothills and get off if you dare at the site the locals call, Hillside Horror! What experiences will you return to share or better yet,will you return to share anything at all??. Hillside Horror Power Outage: Our monsters take control of the Hillside's power sources and will flip the switch off. You will have Nothing but a single glow stick to guide your way thru the entire Hillside.